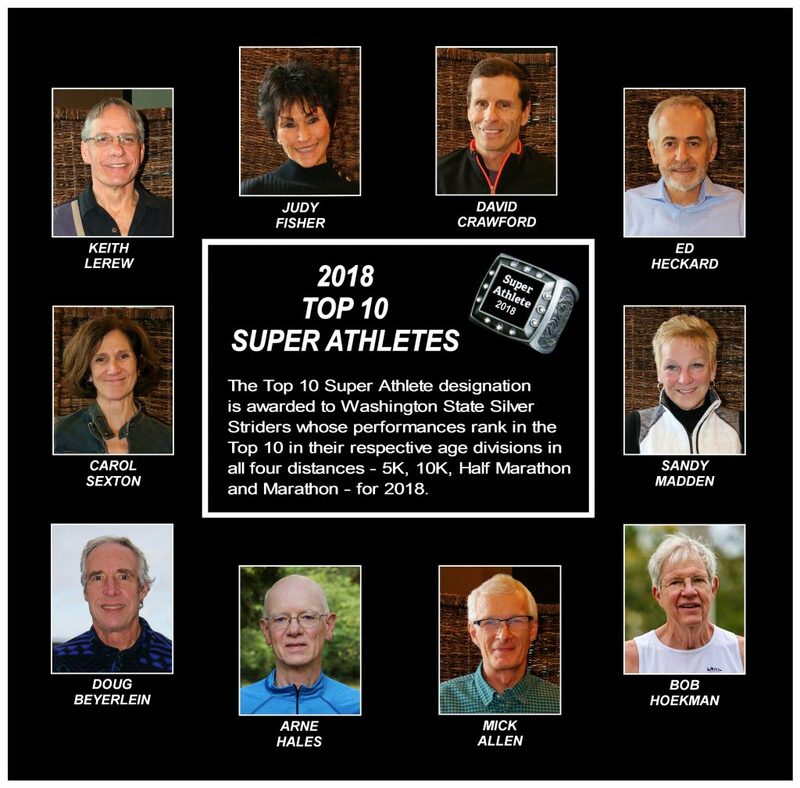 Ranked below are the top 10 athletes in each Silver Strider age group for the State of Washington. If you are ranked #1 in your age group, please send me a photo of yourself for display. If you have a correction or addition, please contact jerry@silverstrider.com by email. Rankings are based on the fastest performances on road or trail courses that are USATF certified. Track times are not considered. If you are in the TOP IO at all 4 distances, you will be qualified for Super Athlete status. On December 1, 2018, those ranked in the TOP IO at all four distances will be designated as Super Athletes for 2018. For those who change age groups during the year, it’s okay to be ranked in different age groups as long as you are ranked at all four distances. Important note: The 2018 rankings end on November 30th. The 2019 rankings begin on December 1st. The Cornucopia 5k offered the top runners in each age group, in the State of Washington, a chance to compete head to head, on the same course, under the same conditions. Here are your 2018 age group champions. WHO WILL WEAR THE RING?